If you can envision it, we can design and deliver it. Here at iForm, we love being presented with unusual and unique builds. We can hand design projects for you or interpret your current designs into workable formats. 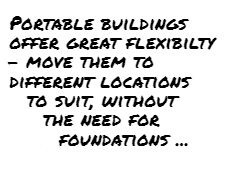 We can work with an unlimited array of materials to create clever buildings that exceed all of your expectations. Our revolutionary composite panels suit a wide range of applications with unlimited build possibilities and benefits previously not seen before in the industry. Not only will they outlive and out perform other buildings on the market, they can be completely tailored to be as unique as you are. We have teams of trained professionals ready to work hand in hand with you throughout the design process where we take your initial design, requirements and budget. We then work with you to get all aspects aligned and fully understood across all of our in-house teams. 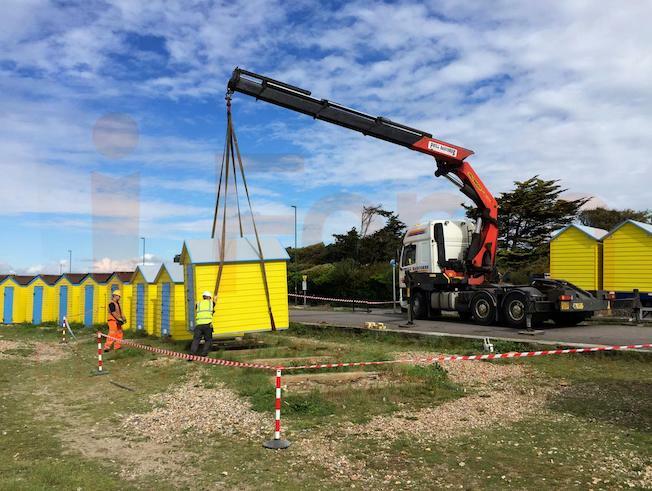 From here our composite beach hut manufacturing team build and test your clever building as they go. Everything from the foundations to the spacing between interior lighting. We take care of everything. WE HAVE THE SKILLS AND EXPERIENCE TO MATCH WHATEVER NEEDS AND ASPIRATIONS YOU HAVE FOR YOUR BUILDING. 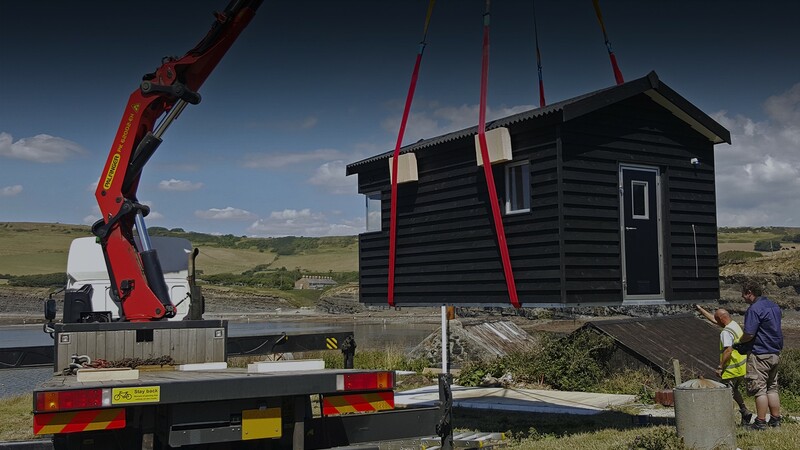 FROM SIMPLE TIMBER FRAME STRUCTURES, TO LARGER, UNIQUE COMPOSITE BUILDINGS, UP TO FULL RESIDENTIAL BUILDS THAT MEET BUILDINGS REGULATIONS FOR OVERNIGHT OR HOLIDAY STAYS, AND EVERYTHING IN-BETWEEN..
We have a variation in design choices for you to choose from. For the majority of our bespoke builds we recommend our revolutionary composite panel technology as this provides the most flexibility with shape, design and size. 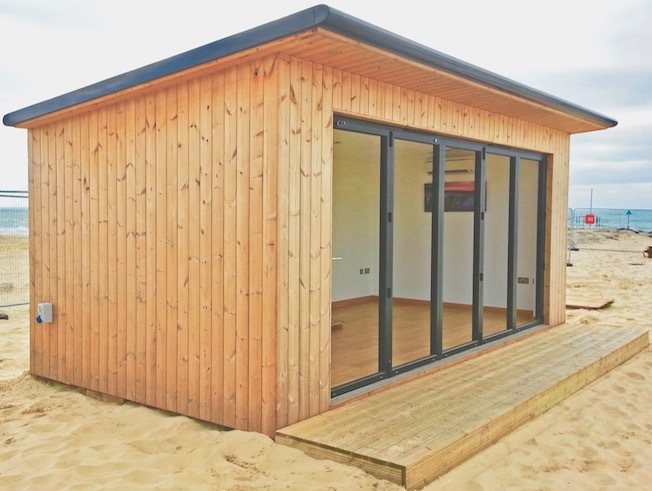 Our composite bespoke buildings are built to last, each one is designed to last 20 or more years completely maintenance-free. Composite is a high-performance building system, offering superior insulation, structural strength and durability over traditional construction methods or systems. Manufactured up to 10m x 3m without joins, each panel is bonded for rigidity, impact resistance and water tightness. There’s no warping, shrinking, rotting or colour fading, with interesting shape creations like our Wave Roof design. 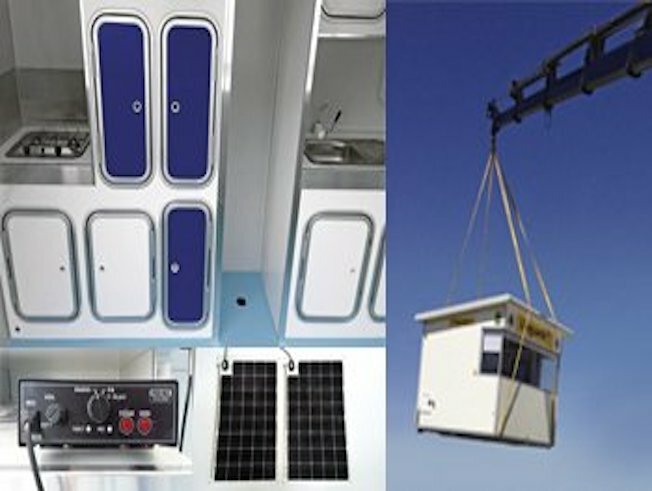 We first introduced our revolutionary composite panel technology more than 30 years ago. It offers maximum durability in coastal locations, and is totally unique to us. 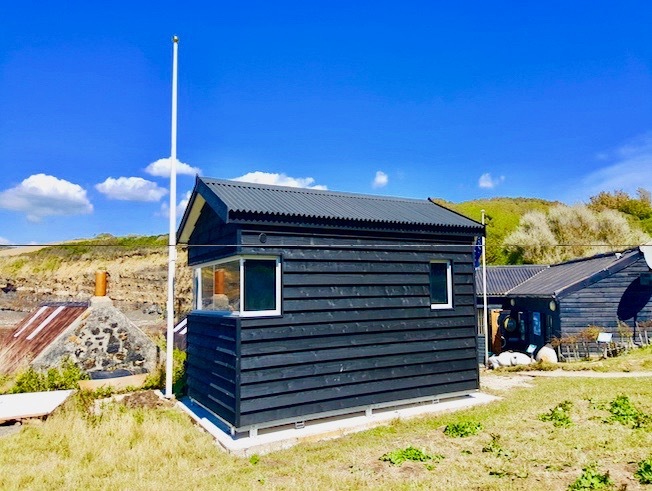 The majority of buildings we supply to the RNLI under contract are composite, so you can be rest-assured interms of the quality and level of service we provide. We manufacture the panels in various thicknesses and layups depending on the intended application. 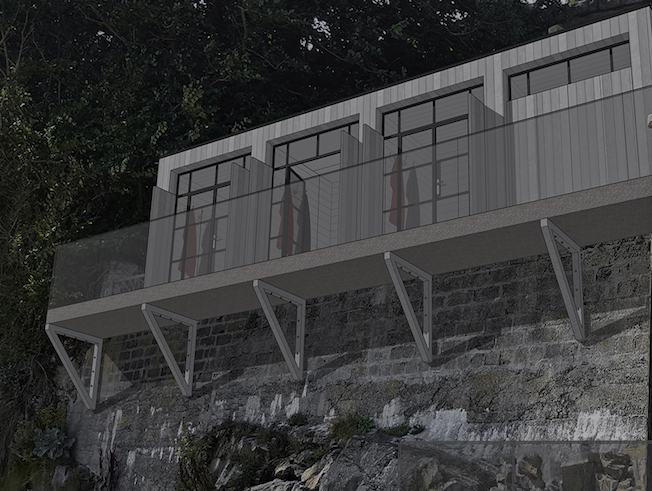 Different beaches and coastal locations come with varying different levels of weather and so need variations in design. Whole panels are bonded together to form the floors, walls and roofs. This creates a super strong, lightweight, self-supporting structure. The outer surfaces of our bonded composite panel consist of layers of smooth, highly-durable, wipe-clean GRP(fibreglass). These surfaces are white as standard, and we offer a range of RAL colour options. The colour runs through the GRP and won’t fade with sun exposure. The smooth exterior can also be wrapped in vinyl graphics for branding or marketing purposes, or if you’re looking for that traditional timber aesthetic, we’ve developed an effective composite cladding system. 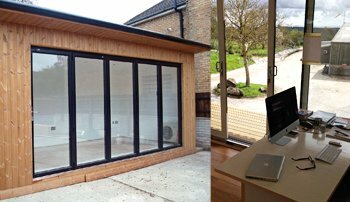 Alternatively our industry-leading timber buildings are hand built to perfection. They provide a more economical option without compromising on quality. We use the highest quality 3x2in 4×2 tanalised timber sourced from FSC accredited forests to construct the heavy-duty timber frame. The timber cladding is available in a range of profiles, unlimited colours, and we can design a custom profile or match existing/previous designs. All timber is pressure-treated to protect against fungal decay, mould and insect infestation – these are as durable as a timber build can be. 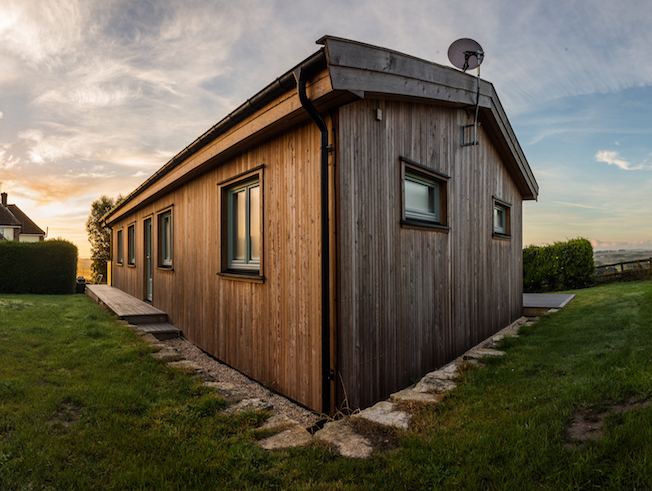 For a more luxurious offering where guests would stay overnight or longer, we provide timber frame buildings to full residential standard; exceeding UK building regulations. 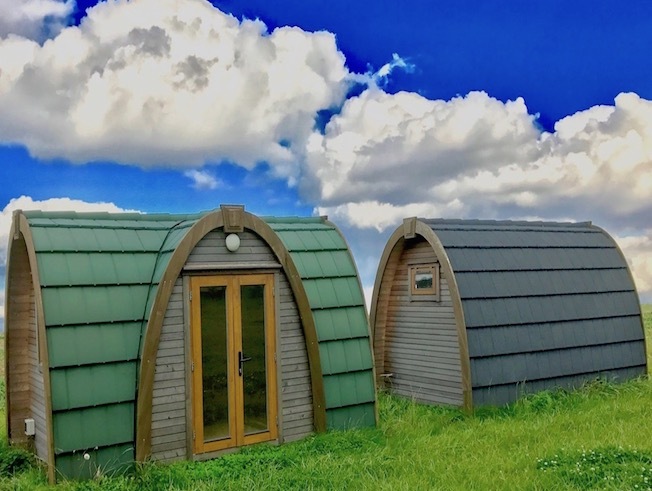 These buildings can feature log burners or other heating systems to be enjoyed all year round, dramatically extending the rental season. Combine the reduced outlay of timber with the added performance benefits that our unique composite panel technology brings. By incorporating composite elements with unreachable levels of durability, insulation and waterproofing, all completely maintenance free. The most popular element to upgrade is the roof. Our composite grp (fibreglass) faced panels are produced in large sections without joins for ultimate reliability; the roofs can be mono-pitch, dual-pitch or shaped. See below image.